New second generation of E5830+ LED screen Huawei Unlocked E5830S (E5S ) HSUPA mobile wifi router Free shipping! Huawei brand E5830 has different logos due to different operators in the world! We will send the modems at radom in stock ,Hope you donot mind the logos much! 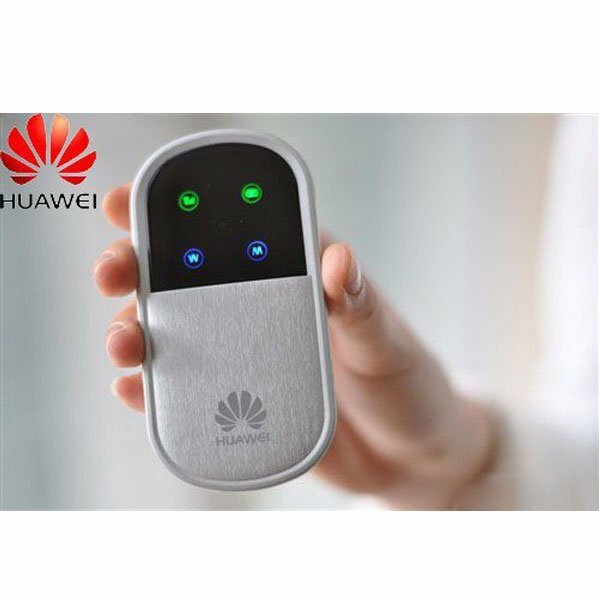 The Huawei E5830 (also known as Huawei E5, Huawei E5836, Huawei E5832) is the most popular MiFi device in the market. it has High-End design and high performance specification make it the perfect choice for 3G mobile router. the portable pocket router help you share mobile broadband connection wirelessly anywhere you go, creating your personal Wi-Fi zone as long as there is a signal that is. You can use it to share internet up to 5 devices like an iPad WiFi, iPhone, or an iPod Touch, a mobile phone with WiFi capability, PSP, digital camera, notebook, PDA etc and you can even hook your wireless printer to its WiFi network. With the E5830 Mobile Hotspot you will experience high-speed surfing and steady connection, characteristics of a true 3G aera. better user experiences include, Intelligent power control, Temperature protection, Web messages, Web SD card info sharing, Small screen page setting, Screen display of statuses. The Huawei E5830 is pretty easy to use once youre done setting it up which you can easily follow from the instruction manual. so you can connect to the admin interface by the browser on your computer, also you can use your device (Apple iPad, iPod Touch, cellphone etc) to connect to the admin page using your browser. the page loaded its mobile version although you can use the full view as well. Yes. ready to use with global services. no contract required. 3G HSPA+ / HSUPA / HSDPA / HSPA / UMTS (WCDMA) - (1900)/2100 MHz. Download up to 7.2 Mbps, Upload up to 5.76 Mbps. Micro SD card Slot up to 32GB. Size 86 x 46.5 x 10.5mm. Windows XP, Windows Vista, Windows 7, Mac OS X. Operation time Up to 4 hours - Standby time Up to 100 hours. 802.11b/g compatible with any Wi-Fi enabled device. Step 1Choose Tools > Options to open the Options interface. Step 2Set Network Type to WCDMA only and click Apply. one minute later, you can access 3G networks. Step 3If you still cannot access 3G networks after 3G only is selected, the APN may be incorrectly set. Contact the local carrier. Step 1When Standard Enhanced PCI to USB Host Controller in the device manager is disabled,the data card should be identified correctly. If the data card cannot be identified, the problemmay be caused by static electricity. In this case, shut down the PC, remove all power cables that are connected to the PC, and then wait five to ten minutes. Step 2If another USB device is connected to the PC at the same time, remove all USB devices,disconnect the E122 and then connect it again. If the E122 can be identified correctly, this problem may be caused by the power failure of the main board. If the problem persists, go to Step 3and Step 4. Step 3Insert the E122 into other PCs to check whether the E122 can be identified correctly. If it can be identified correctly, disconnect the E122 and then connect it again, or restart the PC. If it is still identified as an unknown device in other PCs, contact the customer service personnel. Step 4Insert another USB device to check whether it can be identified correctly. If the USB device is also identified as an unknown device, the problem is caused by the hardware failure of the PC.In this case, replace the USB jack or repair the main board. If the E122 can be identified correctly, contact the customer service personnel. Step 1Try another USB port of the PC. Step 2In Device Manager, disable all universal serial bus controllers and then enable them; or uninstall all universal serial bus controllers and then scan the device. Step 1Insert the Data Card and wait until the virtual drive is identified. Step 3Click the green Mobile Partner icon. Step 4For a beta testing version, run setup.exe; for a non-beta testing version, run autorun.exe. Step 5Install the related software by following steps. Step 1Choose Start > Run and type gpedit.msc in the Run box.The Group Policy Object Editor window is displayed. Step 2In the left pane, choose Local Computer Policy > Computer Configuration >Administrative Templates > System, and then under Setting, double-click Turn off Autoplay. Step 3Click the Setting tab, select the Not Configured or Disabled option, and then click OK to close the Group Policy Object Editor window. Step 4The Turn off Autoplay function also can be set in User Configuration. The difference is that the setting in Computer Configuration effects more widely than that in User Configuration. Step 1First shut down and then restart the Mobile Partner and check whether the dial-up is successful. If devices still cannot be found, perform Step 2. Step 2Remove and re-insert the data card. Then, dial a number. If devices still cannot be found, perform Step 3. Step 3Restart the PC. If the problem persists, perform Step 4. Step 4Uninstall the MP. Restart the PC and re-install the MP. Step 1Check whether the drive is installed by following the normal installation procedure. If the drive is installed manually, ensure that autorun.exe is first program to be run. If the installation fails to meet the requirements, uninstall the Mobile Partner and reinstall the Mobile Partner and drive. Step 2If the drive is correctly installed, you can update the drive manually. If the drive is updated successfully, the PC system must be faulty. Run the antivirus program or clear the system. Step 1In Windows 2000, please install the SP4 path. 11. Why is it slow when sending messages to multiple users? When sending messages, the USB Modem will separate the progress into N parts. Then the system will send messages one after another. That means, if one failed, all messages that after can not send any more. To know how many messages succeed in sending, you can look them up in outbox or, you can setup sending status report. 12. When surfing on the internet, I failed to receive a message. Is it lost? There is narrow chance to receive message when data flows on line. Only if cut off the data flow can you receive the message continuously. Furthermore, sometimes you can not open the web page or no data flows, however, you can go on logging on line when sending out all the messages. 13. When I click the key to connect to the network, it displays "Modem not found". At this time, the operating system does not successfully drive the USB Modem. Please connect the USB Modem to computer again, the operating system will auto detects and recognizes the USB Modem hardware. 14 .What shall I do if I cannot access internet? Step 1Be sure Data Service of your USIM card is activated. You may check with the Operator. Step 2Click "Connect" to make connection to internet. Step 3Make sure APN is correct. 15 .Will the speed be guaranteed? No, with 3G the actual speed a customer will experience will depend on whether there is enough coverage at a particular location and will be affected by the number of people nearby using the service at the same time. The technology does deliver greater capacity meaning that more people in the same location at the same time can benefit from a superior experience. 16. Can I use my existing device in the HSDPA 7.2 area? Existing devices will be compatible in the HSDPA 7.2 area. The 3G Broadband Datacard will simply continue to work at 1.8Mbps speed instead of the enhanced HSDPA speed of 7.2Mbps. The older USB Modem supports a maximum speed of 3.6Mbps, so customers with these devices will enjoy faster data rates in HSDPA 7.2 areas, but not as fast as those using the latest USB Modem. 17. Is the 3G broadband experience the same as broadband at home? Currently, typical home broadband speeds are up to 8 Mbps, which is faster than 3G broadband, however the browsing experience is very similar. For the foreseeable future, fixed line broadband. 18. Can my data allowance be used abroad?